As the busiest wedding officiant in Orange County, I have been the wedding officiant at almost every wedding venue in Los Angeles and Orange County. Some of those weddings I officiated were the Old Ranch Country Club in Seal Beach. Old Ranch Country Club rests amid 128 acres of lakes and tree-lined fairways in beautiful Seal Beach, California. It offers a quintessential Southern California experience for your wedding and reception coupled with its famous hospitality. 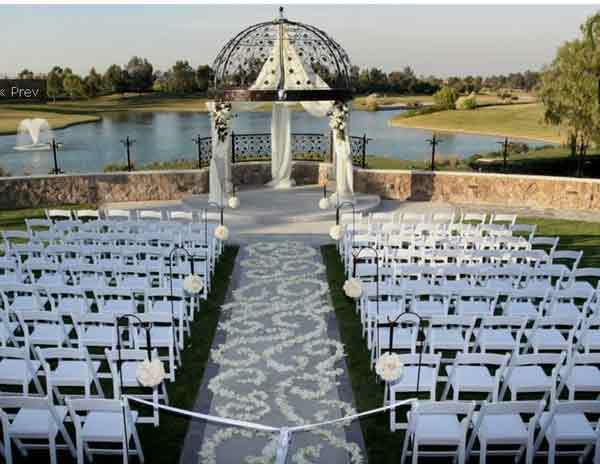 Imagine your wedding ceremony beneath a handcrafted wrought iron pergola with a panoramic view of the lush fairways, ornate fountains and the mountain horizon as your backdrop. 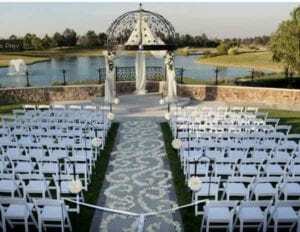 Your guests will sit in white chairs and you will have a wedding reception and a creatively traditional bridal party. Perfect for both formal, informal and civil weddings. Old Ranch is favorite of wedding couples looking for a special setting. You will have experienced wedding coordinators that will assist you in every step of the planning process. 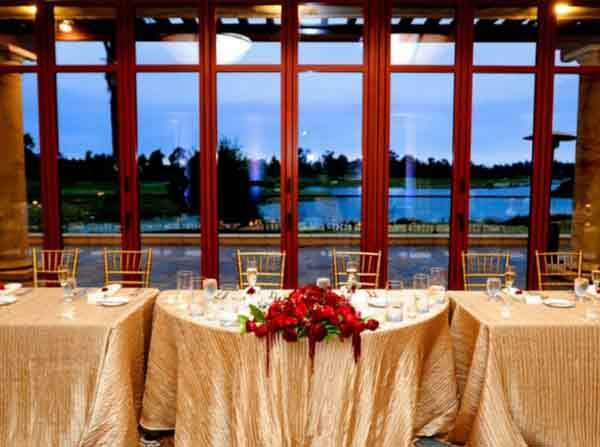 Several spacious ballrooms with panoramic views through the ceiling high glass doors. Your guests will be the benefactors of Old Ranch’s dedication to the culinary arts. You will be able to choose from a broad menu of delicious cuisine for your wedding day. If you are planning your wedding in Long Beach or elsewhere in Los Angeles County or Orange County consider the beautiful setting and wonderful wedding professionals at Old Ranch Country Club in Seal Beach. And please consider this wedding officiant, the Officiant Guy, as your wedding minister. 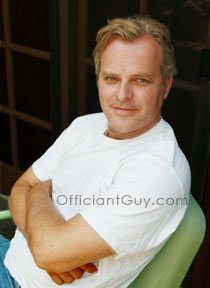 Officiant Guy has been an officiant for weddings for many years. 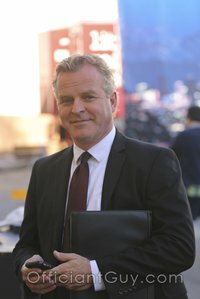 He’s worked with people from everywhere and has earned the respect of thousands of engaged couples since he is, in fact, a marriage license notary, an ordained minister, and a CA lawyer. Get a hold of this officiant now for your wedding, in addition, to provide your wedding license at (310) 882-5039 or (562) 547-3255 or fill out the contact form here.